First rule of any prolonged, outdoor activity: bring enough food and water to last you the entire time. A simple plastic bag will not do: not only is it fragile, but also can be left behind as litter. The best kind of containers for outdoor activities, then, are going to be soft-coolers. Durable yet soft, these containers will keep food and drinks cool and safe from the elements. With a new year near, this guide covers the ten best soft-coolers on the market. Unlike hard coolers, soft coolers are more like bags than actual coolers. They do not keep food or drinks nice and cold for long periods, and they can lack durability. That said, soft coolers have several benefits that make up for their shortcomings. Because of the materials from which they are made, soft coolers are going to be cheaper. That means that there are going to be more of them available. For a short term-trip, they are perfect for keeping food and drinks safe. The big draw to soft coolers is that they are lighter than a hard cooler. Made up of softer materials like fabric and vinyl, a soft cooler can be almost weightless on its own. The real weight will come from what is inside. Moreover, their flexible design means they can take up less space. That can be a good trait to have in a food carrier. 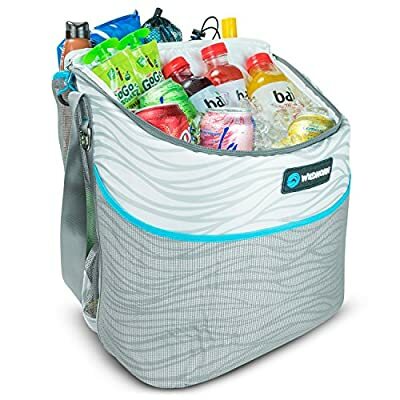 Many soft coolers come with straps and hooks to attach to bigger bags. This allows a person to take them without getting their hands too full. 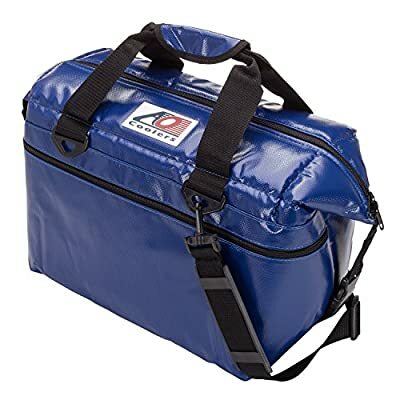 Plenty of people use soft coolers to carry their lunches to work, school or an overnight trip. Soft coolers are smaller, cheaper, and can do many of the same things that hard coolers can do. They may not be able to do them for as long, but they do not have to. Before buying, you need to know about the qualities that make the best soft cooler. Depending on what you plan on doing, size does matter. If you want to pack a lunch or snacks for a day trip, then a smaller cooler will work. If you are packing for yourself, your friends, and your family, then make sure you have a big enough cooler. It goes without saying that people are going to want to buy something that they know is going to last. Make sure that the cooler will last you for several years or more. Otherwise, it is not worth the money. Eventually, that soft cooler is going to get dirty and need a good scrub-down. Find out what the best way is to clean out a soft cooler without damaging it in any way. Some coolers will only need a good rinsing and then left to dry, while others might need some more effort. Take care to note if there are any folds or creases inside a cooler. These spots can get overlooked and end up being perfect breeding grounds for mildew and mold. This is where the different types of soft coolers will come into play. 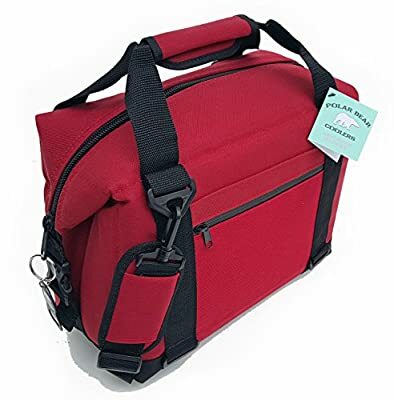 There are three main types of soft coolers on the market: lunch box style, shoulder bag, and backpack. Each one has different pros and cons. The lunch box style copies a typical lunch box. The main difference is that they usually come with removable liners to make cleaning easier. They even come with detachable straps. They are perfect as lunchboxes, as they keep drinks cold and are easy to clean out. The downside is that they meant for individuals rather, since they can only hold so much food. The shoulder bag style is best for keeping food for more than one person. They allow enough room to keep food and beverages for a small group of around four to six people. While they do not always come with detachable straps, they do come with sling straps that make them easy to carry. They tend to be much more expensive than the lunch box style, so keep that in mind. Then there is the backpack style. You can carry them around on your back so that you will not have your hands full all the time. That makes it perfect for outdoor activities that need both hands, like hiking. They come in several different sizes, and some of them are even waterproof, which is a bonus. The only downside is that they usually do not have enough room to feed a group altogether. Most important, keep how easy it can be to use a cooler. Zippers can be a huge pain at times, especially if they are smaller than what people use. Make sure you will be comfortable with opening and closing the cooler before you buy it. Not all soft coolers are going to be waterproof, and even the waterproof ones can have a weakness. One weak spot in particular can end up being the zippers. Since they are not protected by insulation, it will not be that hard for water to leak in or to leak out. Keep that in mind. Insulation is what allows a soft cooler to keep the food and drinks within nice and cold. The better the insulation, the longer it will keep the things inside cold and preserved. That includes the ice that you may put inside. There are two main types of insulation that you can find in a soft cooler: closed-cell and open-cell. Open-cell insulation consists of a type of plastic foam. It is meant to be lightweight, so the air bubbles that make up the insulation are loose, limiting effectiveness. In contrast, closed-cell insulation is heavier with better-organized air bubbles, improving it. They tend to cost more, though. The choice in soft cooler should come down to how good the insulation is. Make sure that you check the insulation of a soft cooler from top to bottom for any openings that could affect it. AO Coolers boasts that their coolers will never leak. They make their products out of the same material found in waterbeds and above ground pools. They can take any damage and keep on going, and they will not scratch anything. Best of all, thanks to the layers of insulation, they can hold ice for 24 hours in temperatures up to 120 degrees. No need to worry about leaks or that annoying sweat that comes with it. The AO Coolers Soft Cooler comes in four separate sizes. The largest, the 48, can handle up to 48 cans of drinks and 15 pounds of ice. It has a removable shoulder strap for easy transport and even a side pocket for items that need to stay dry. This bag is perfect for any outdoor activity! The reviews for this bag have been almost all positive, but that does not make it infallible. Some customers complained about things ranging from cosmetic flaws to questionable quality of the product. There have been several complaints about the state of the strap, as well, with some saying it can break. Despite that, it is still the best soft cooler on Amazon, making it worth looking at. Largest size can carry up to 15 pounds of ice and 48 cans. 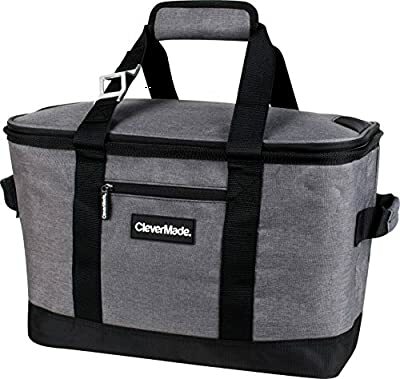 The CleverMade SnapBasket Collapsible Soft-Sided Cooler is a smart way to save space. Made from a combination of different plastics and polymers, this bag has several useful traits in its arsenal. Made with rip-stop fabric, this cooler is durable and water resistant. On the inside, the interior is leak-proof by design. Above all, though, it is comfortable and comes with duffle bag handles and a side grip for convenience. The SnapBasket can open with ease and is flexible enough to handle 50 cans of food or drinks, plus the ice to go with them. All told, it could hold up to 50 pounds of weight. The flop-free design will prevent any spills, while a zippered front pocket will protect valuable items. As an added bonus, the strap has its own bottle opener; no more carrying bottle-openers. The best feature, though, is its compactness. When not in use, the SnapBasket can fold to less than 3 inches, making it great for storing. This cooler can do it all! As always, remember to check for any potential leaks. Just because they say its leak, proof does not mean it cannot happen, as some customers have noted. Additionally, there have been complaints that the sides end up collapsing on themselves. Meanwhile, the strap can become uncomfortable when it is carrying heavy loads. Despite this, Customer Service has helped unhappy customers time and again, which is good. An example of a closed-cell insulating cooler, the Homitt Soft Cooler has three layers of high quality insulation. The outside is insulated to be leak proof while the inside contains a lighter amount of insulation. Between the two layers, high density foam. It will keep food and drinks ice cold for a long time. 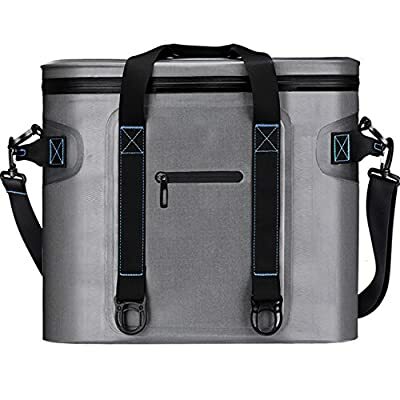 With its airtight zipper and the whole sealing process built into its design, this cooler is as close to waterproof as possible. Even better, the special plastic coating on the outside is water/sweat-proof. The inside has a liner that will resist mold and mildew. The Homitt Soft Cooler is easy to carry around places. Complete with detachable shoulder straps and two side handle straps, there are different ways to carry it. Grab it by the sides or carry it on the shoulder. It allows for both, and with the ability to fit 30 cans, it's got room to spare. 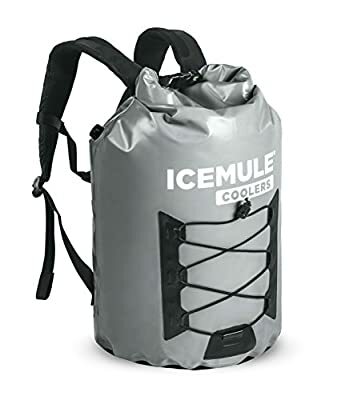 A major feature about this cooler is that it says it can keep ice up to five days if kept in a temperature of around 72 degrees. One customer actually tested it out, and while the ice did not last the five days, the water was nice and cold! Not even a Yeti can do that, the customer said! That said, it seems that while the material for the Homitt is tough, it does stay good-looking for long. After a few uses, it can become beaten down and wrinkly. The cooler also needs to be pre-chilled overnight and needs block ice to work best. It also requires hand washing, which can be a bit of a pain. Even so, this thing seems built to last in the great outdoors. WildHorn believes that life is better when people connect with each other and the outdoors. They work to help make people's experiences in nature ones to remember. It is their hope that their easy-to-use products will inspire people to get out into nature more often. Since few places are as fun as the beach, the Tortuga Beach Bag is perfect for the three S': sun, surf, and sand! The WildHorn Tortuga Beach Bag cooler has a two in one design: a zippered insulated cooler attached to a tote bag. Located on the side, the coolers located on the side rather than underneath, making it easier to get to. As for the tote bag, the liners are welded to prevent leaking, while 10 mm foam keeps drinks fresh and cool for 18 hours. All told, it can fit 10 pounds of ice and two dozen twelve ounce cans at once. The Tortuga Beach Bag has room to go around. It includes a drawstring storage space, and external mesh pocket for small travel items. Both contain a mesh that is coated in rubber for extra durability. Look hard enough and there is a flat pocket for phones and keys, so that they are never out of sight. 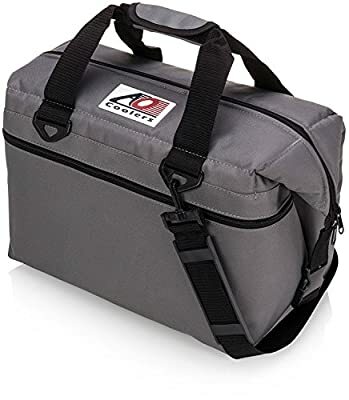 Each cooler has a padded shoulder strap and D-ring for easy carrying. Keep in mind, though, this is not meant to be an all-purpose soft cooler. It is best for the beach, and it may not always handle up the strain of other places. One customer said that it can still be uncomfortable to carry and the ice can sometimes melt too fast. Still, this bag is versatile and able to handle, which should make up for any pitfalls. ComfortCarryIMPT System with reinforced back-straps and ventilated back pads. Whether it is for a tailgate or a hike in the woods, this backpack is perfect. 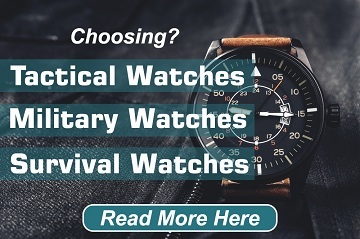 Unfortunately, it seems that there are concerns about the straps. Some customers have felt that, when filled to capacity, the straps will not last. The bag may also start to leak from the bottom if left out overnight. These problems can be overcome, though, so they do not seem like too big a deal. Good for most outdoor activities. As is often the case with many things in life, it is not what is outside, but what is inside that counts. That is the tagline that Polar Bear Coolers has to say about their coolers. The interior design consists of several features that they say ensures its longevity. The insulation contained within the Polar Bear consists of one-inch thick 10 gauge high-density foam. Polar Bear can make the best quality foam. As they put it, "easy to fake it, hard to make it." As for the interior liner, it is made from tpu double-coated nylon. This makes the liner bulletproof, ensuring that it is durable and built to last. It can handle ice and drinks in 100+-degree weather for 24 hours. The outer shell of the cooler is made of luggage grade nylon. That is as durable as a bag can get. The seams are double hemmed and anchor stitched into the bag, so it will be very hard to fall apart. Polar Bear has its own sewing design for the zippers, which keep them from ripping out of the cooler. The zipper is also rustproof, so a customer will never have to worry about that. The side includes a side pocket that can be customized with a company logo or signature for a person's benefit. The Polar Bear Cooler comes in three sizes that can hold between twelve and forty-eight cans, depending on the size. It also comes in a backpack form for easy transport. It has side release buckles, four tie downs and a padded shoulder strap for easy travel. Even the most critical of customers have said that the Polar Bear Cooler is an amazing product. It does have a Weakness, though: the zipper is not waterproof. That means a person will need to keep an eye on it to make sure it does not tip onto its side. In addition, eventually, it will start to fall apart; when that happens may differ for people, though, so do not get upset. Will eventually degrade over time. Another soft cooler made by AO Coolers, there is a critical difference between this and the other AO Cooler. This version is waterproof, thanks to a tough, vinyl exterior. This makes it ideal for outdoor activities that involve being around bodies of water. Aside from being waterproof, the exterior is UV protected, so it will not lose its color in the sun. Be warned, though. Several customers have complained that this version of the AO Cooler does not live up to the waterproof claims. If purchasing this, it may be best to not tempt fate and avoid getting this too wet. Waterproof called into question by some. Coleman focuses on helping people have fun memories in the great outdoors. They make everything from tents to lanterns to coolers. Their 16-Can soft cooler is simple but effective in its purpose. As the name suggests, it can hold around 16 cans of food inside its main chamber. A hard plastic liner that is treated to protect against mold and smells protects the inside. The liner is FDA approved for contact with food, and is removable for cleaning purposes. If someone needs extra space, this cooler provides for it. It has four extra pockets: a zippered front pocket, mesh pockets on either side, or another one in the lid. The lid even has bungees for more storage. To prevent leaks, the seams are heat-welded to prevent any ice from leaking out of the cooler. Due to the nature of the removable liner, it is not always necessary. Use the liner if packing with ice, and remove it otherwise. The main disadvantage to the Coleman is that it is small. That means that it can only carry so much before it starts to burst. It may not be best for a group that is spending time outside, but for one person; two at best. Regardless of the size, it still manages to handle a lot in its frame, making it good for short trips outside. Small size limits people it can be used by. 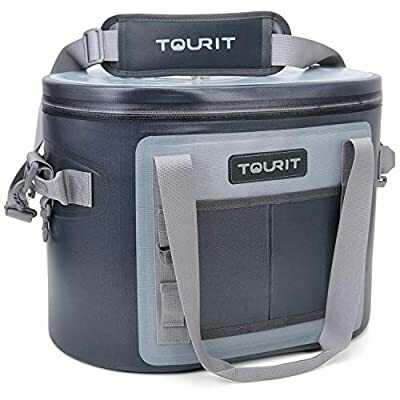 Go anywhere in the great outdoors with the TOURIT Soft Pack, the best-seller in outdoor kitchen cooling bins on Amazon. It is made from three layers of BPA-Free and FDA approved insulation material. The outer layer is waterproof to ensure no annoying sweat; the middle is high-density foam; and the inside has leak-proof material. All told, it can keep food and drinks cool for three days. The TOURIT's waterproof capabilities extend to the zipper. It comes with an easy pull-tab that keeps water and air out. If it may seem a little tight, there is lubricant that comes with the cooler. Thanks to its waterproof outer shell, the TOURIT is also resistant to impacts, making it tough enough for the wild. For those who want a different way of carrying the TOURIT, not a problem! It has a detachable shoulder strap and two reinforced side handles. A person can carry it on the shoulders or from the top if it is heavy. As for its weight, it can carry 30 cans plus the ice needed. When not in use, put it in the car until it is needed. There are few negative issues with the TOURIT Soft Cooler. Customers have complained about the zipper coming undone and the ice melting too fast, but they seem to be in the minority. This bag is far too promising to overlook. This soft cooler is for the football fan in a person's life. It may be small, but this thing can comfortably hold 16 cans along with ice. With its metallic foil liner, it can keep the contents cold for 24 hours at a time. Meanwhile, the liner protects against bacteria that can cause mold and smells. 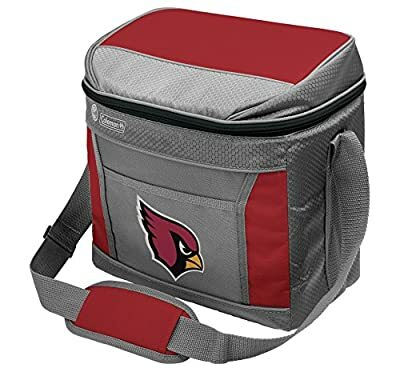 The big draw of this soft cooler is that it can come with the logo of every NFL team on the front. A fan can choose their favorite team, and then have it screen printed on the front. Show off your loyalty to your team with this cooler. 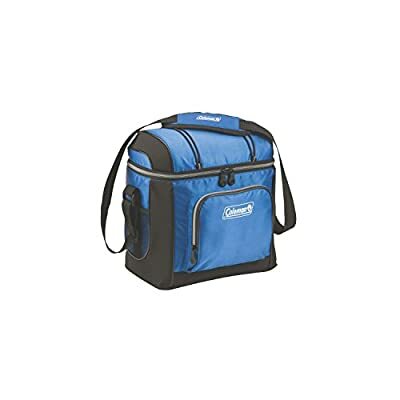 Keep in mind, though, that this cooler is not going to be suited for strenuous outdoor activities, like hiking or fishing. Given its small size, its better suited for a social gathering, such as a sports game or a picnic. Still, cannot beat the sight of your favorite team’s logo on a cooler. Other than that, the main thing to watch out for is typos in the team names. What is the difference between hard and soft coolers? Soft coolers are more like bags than coolers. Some are built to look like normal sling bags or backpacks. They are also made of softer materials than hard coolers. Can soft coolers last long-term outdoor activities? Soft Coolers are generally best suited for outdoor activities that last less than a day or two. High-end soft coolers can be durable and take the elements, but they are not infallible. They are really meant to be temporary storage packs, so don’t expect them to work on trips that last several days outside. What advantages do soft coolers have over hard coolers? Soft coolers are less durable than hard coolers, but they can still take care of themselves good enough. They are smaller and more portable than hard coolers, making them perfect for day trips. Better still, they can be used in everyday activities like work or parties. People use them to carry their lunches all the time. The Summer is upon us, and that means new activities, new places to explore, and things to see. No matter where people go, though, they should always be prepared with the bare necessities of food and water. Trying to carry these things with your hands can be a time-consuming process, and hard coolers may not always be able to go with you in the wild. Soft coolers, while smaller, can travel almost anywhere and through any element. Whether it’s a day trip to the beach or just packing a lunch, a good soft cooler can end up being a great investment long-term.